We had the opportunity to get away with several friends to Badacsony last weekend. It is definitely one of my favorite places in Hungary. Just a small vineyard covered village stuck between a handful of extinct volcanoes and Lake Balaton. We were so glad to have two friends from Sweden, Rinus and Joke, join us for the weekend. Rinus stirred up many conversations as he shared about the life and writings of William Faulkner. Specifically, we took a look at the themes of alienation and wounded families. Thanks Rinus for your contributions! 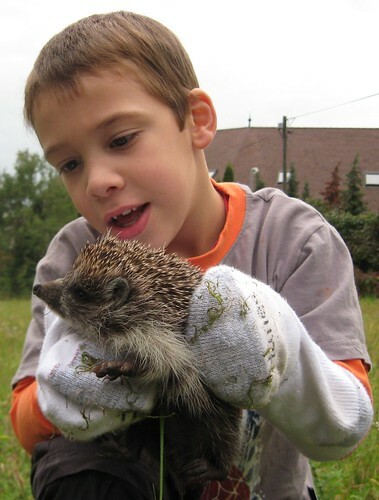 While in Badacsony, Kristof saw a hedgehog in the grass, I said, “let’s get it!,” and Oliver immediately picked it up without hesitation. Oliver, you are a natural. Needless to say, our boys had an awesome weekend playing with the hedgehog named Prickles. Seth now has changed his daily request for a pet turtle to a daily request for a pet hedgehog. I’d love a copy of the group photo from any of you who took one on Sunday!